A year ago yesterday, we officially hooked up our solar panels to “The Grid”. 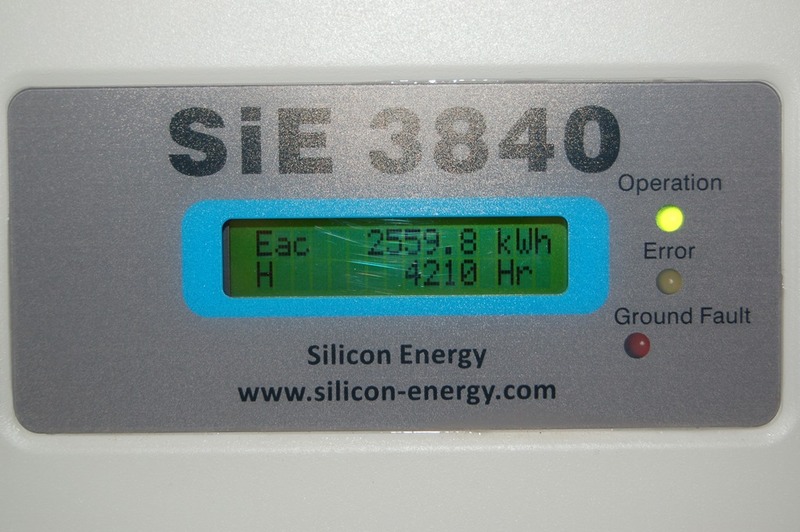 As of this morning, we’ve produced 2559 kWh of power. From a production credit standpoint, at $0.549 / kWh, this adds up to a nice little check of $1405.33, give or take a few bucks. This is right in line with the $1353 I had hoped to get when I ran the numbers last year. That money will go straight into the kid’s college fund. There hasn’t been a month where we’ve produced more than we’ve used, but I didn’t expect there to be, since this system only produces a quarter of what we typically use in a month. But if you take the 2550, and divide it by 12, we get roughly 212 kWh per month, which, at the going rate of approximately $0.101167/kWh (with all taxes and fees), we get a monthly savings of about $21.45, or $257.37 per year. Add the $1405, and that’s $1662 per year in our pockets. The cost after construction and tax rebates was about $16610. Divide that by 1662 and we get a payoff in 9.99 years with no inflation on electric rates. This is a little bit longer than I initially planned, but it’s still well within the expected 30 year life of the system. After that, we’ll be pretty well off. It’s hard to say what the effect of having the system has been on the value of the house, but I don’t doubt it will be a positive if we decide to sell in the next few years. I haven’t had any problems with the system to date. I probably should go up on the roof and clean the dust off the panels, but I need to find the time to do it. Passive income at its best. Do I have any regrets? Just one. I wish I had a truly south-facing roof. The WSW alignment of my roof cuts about 20% off the capacity, and that makes a huge difference in the winter months when the sun is low in the sky. I had hoped that I’d see more of these systems popping up on roofs all over town, but I have yet to see one. I think costs have already come down quite a bit in the last year (and watts per square foot have gone up), so if the rebates are still around, setting up a system now is still a great idea. I’ve toyed around with the idea of expanding my system, and I’d do it if I had a better roof exposure. We’re also trying to hit some other, more immediate savings goals, so adding more panels will have to wait for at least another year. But if we do move in the future, you can bet that one of the requirements of the house will be the viability of adding solar panels. I still believe in the benefits for both my family, and for the world in general.